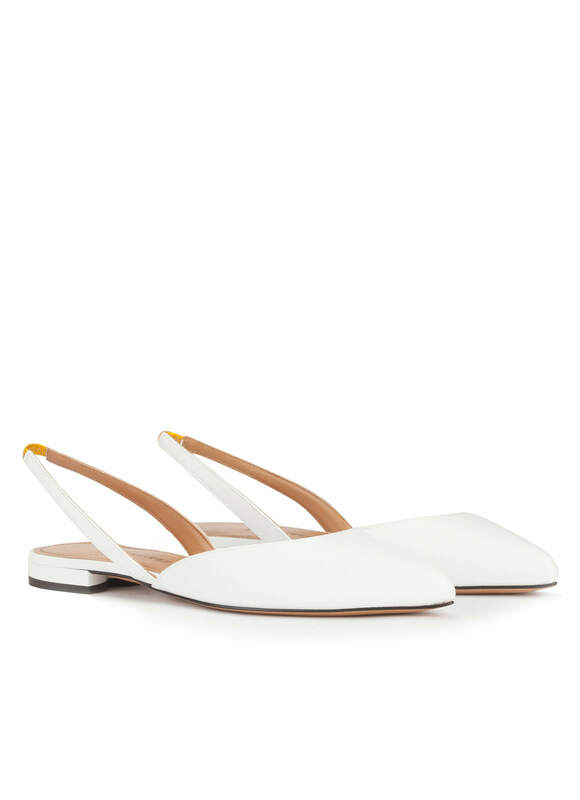 Orietta style comes in a bright white hue that will look so fresh with everything from jeans to vibrant prints. 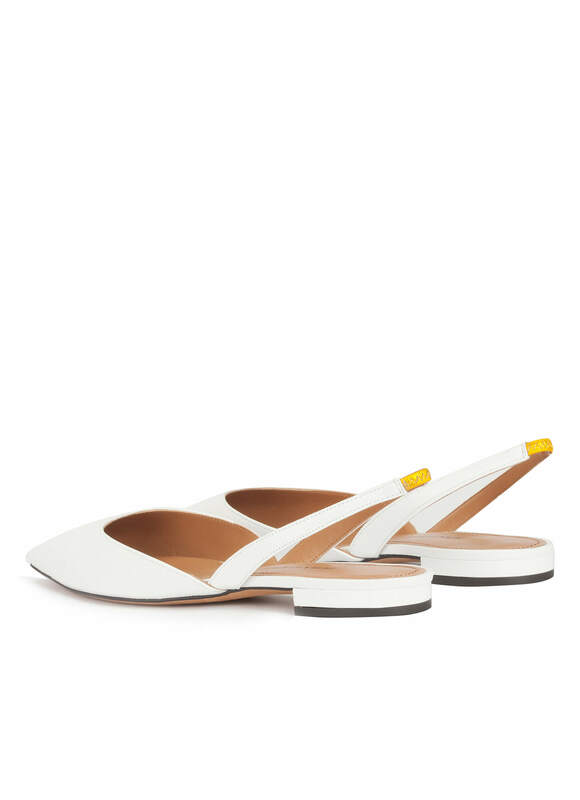 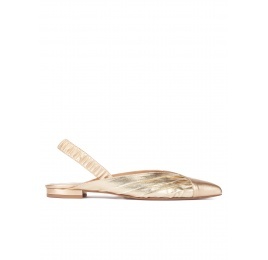 These pointy-toe flats have a slingback strap that is detailed with a yellow metallic leather elastic band. 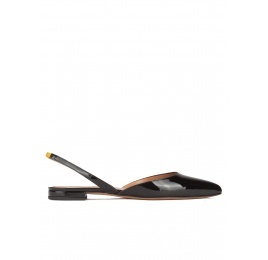 This pair is a stylish choice for both the office and weekend. 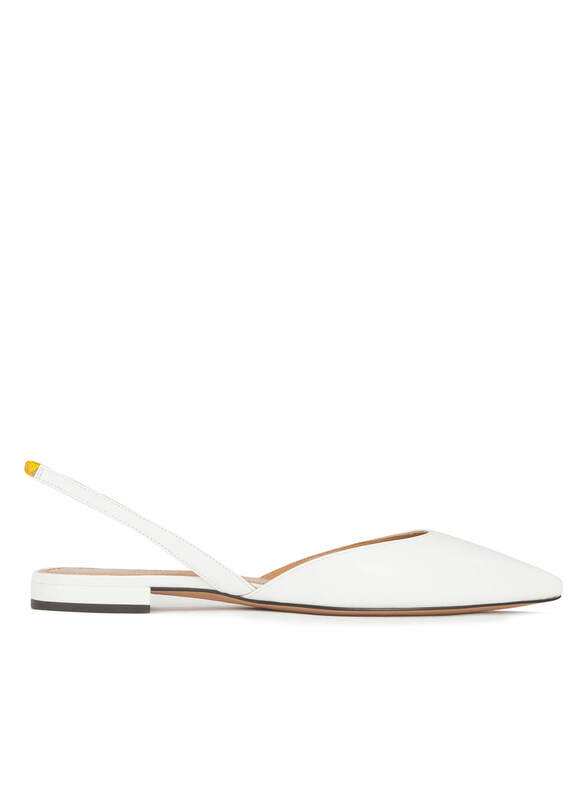 Slight heel measures 1,5 cm approx.